I hope you all had a fabulous weekend! I had the unusual pleasure of having both weekend days off, so I know I did! With my extra time off, Matt and I went on a little road trip. I had found a gold mine of a Craigslist ad. 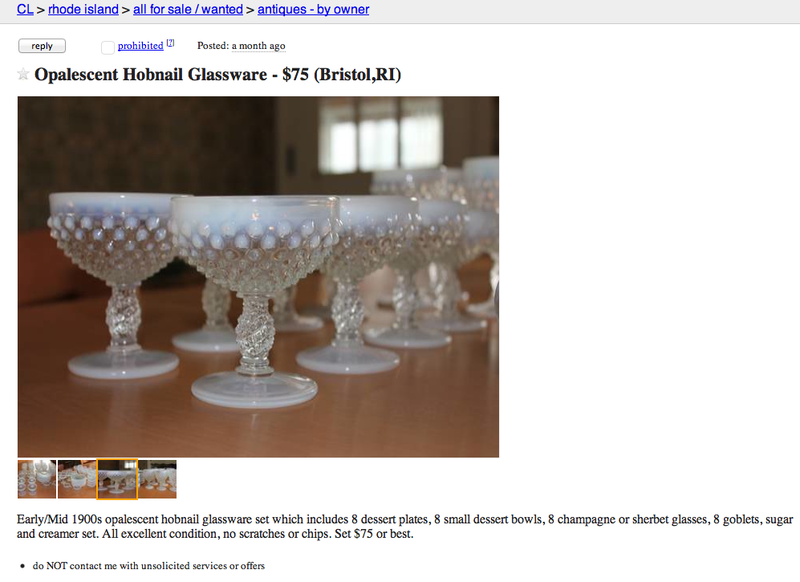 A woman in Bristol, RI was selling some gorgeous hobnail glassware.